1. Each noodle headband features 18 blue mesh tubes and 30 blue ribbons. Ribbons measurement: L14'', mesh tubes measurement: L18''. 2. 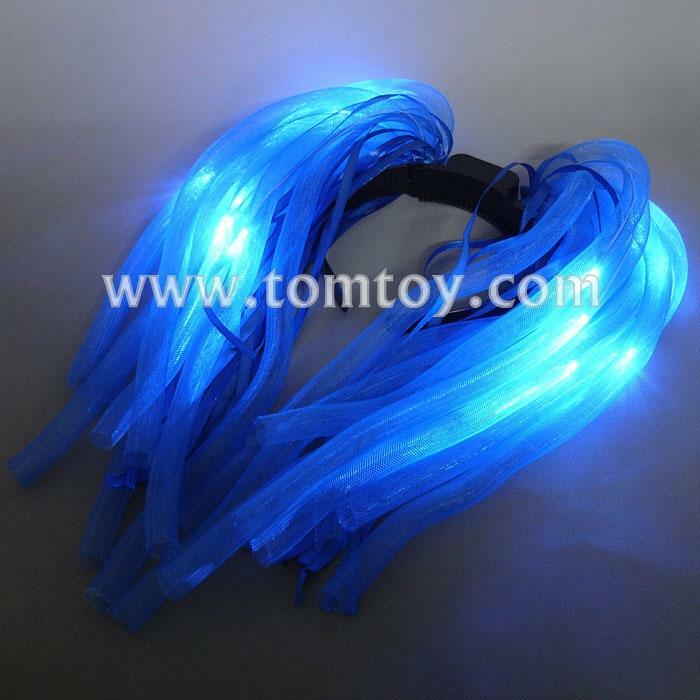 Features 12 flashing blue LED lights within mesh tubes. 3. There are 3 flash modes: fast flash, slow flash, steady. Press the on/off button to start flashing, press again to switch the pattern of lights. 4. Includes 3 pieces of replaceable non mercury batteries.